Yesterday I participated in an all-day spinning cotton workshop. I’ve spun cotton before and hated it. Wondered why anyone would want to do it, and was increasingly in awe of those who did it well. At this workshop, a dozen other veteran spinners and I learned some wonder techniques and experimented with an amazing variety of fibres all thanks to an excellent instructor named Heidi from Vegan Yarn. Here’s the skein I produced. The first shot is with the flash off, and you can better see the texture. That’s a regular sized marble there so you can judge the size of it. It’s 40g and 100m. A decent sized skein. And here’s a shot of it with the flash on so you can better see the colours. All the colours of the cotton we spun with yesterday were natural colours. Not natural dyes. The cotton grew that way. There are a variety of shades of browns, several greens and of course white. All were a wee different to work with, but I managed to spin all the samples. By the end of the day I really had the knack for spinning it sorted out. 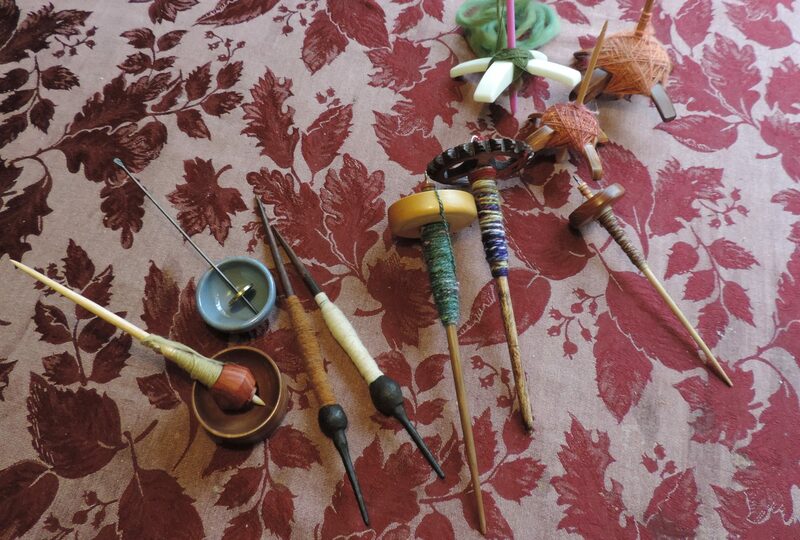 I think I may even spin some cotton during #spinzilla week cause the long-draw technique really creates good yardage. This entry was posted in spinning cotton, Vegan Yarn on October 6, 2013 by DianaTwiss.